Have you ever felt that the balance of your sax was a little off? Do you find your right thumb rests above the "thumb rest"? 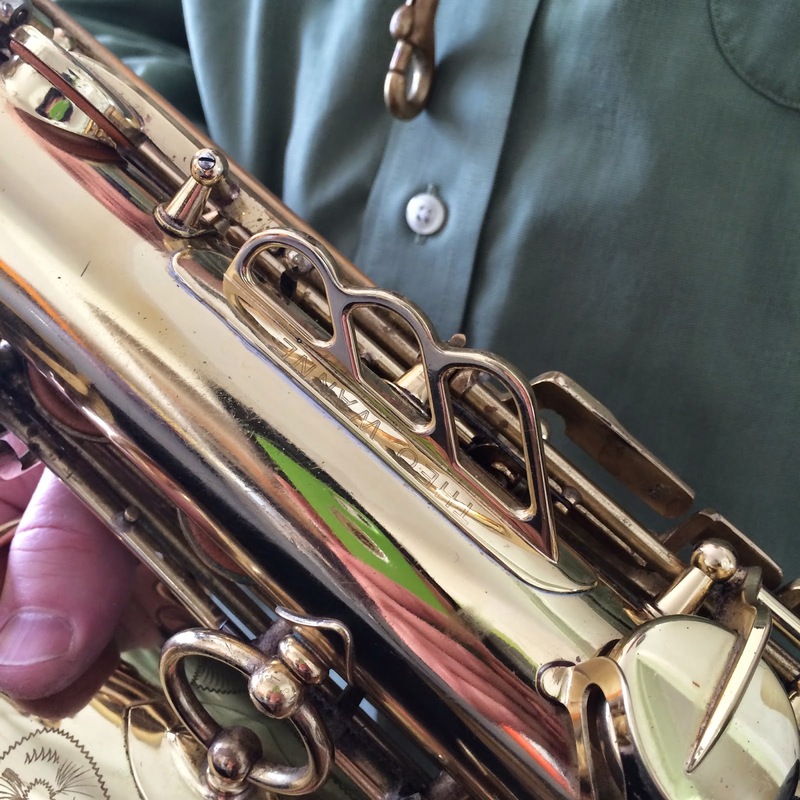 Do you feel your range of motion is restricted when you play the saxophone? Does your neck crane, or do your shoulders tighten up, or wrists get cramped? Do you feel you can direct the air stream at a variety of angles to get various tone colors and range of expression? 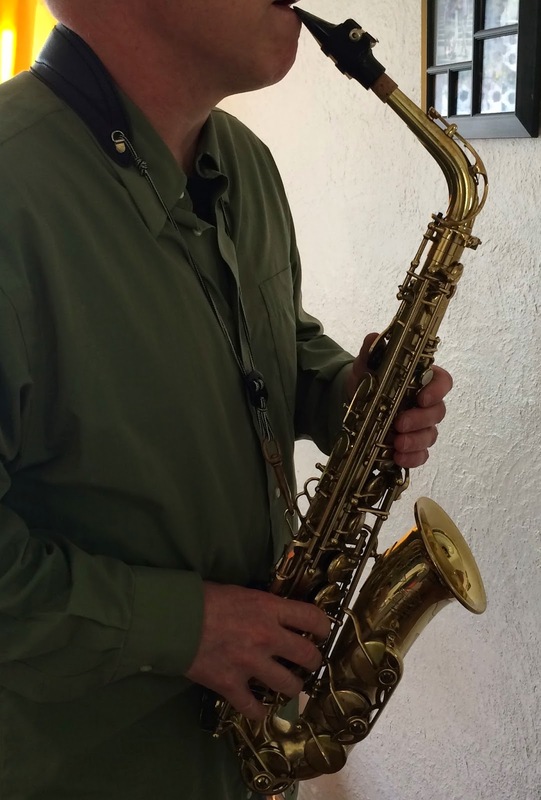 I have been playing saxophone for many years and have gone through a number of saxes over the decades, with my main horn being the alto. I love all good saxophones, including strange vintage horns and modern instruments alike. 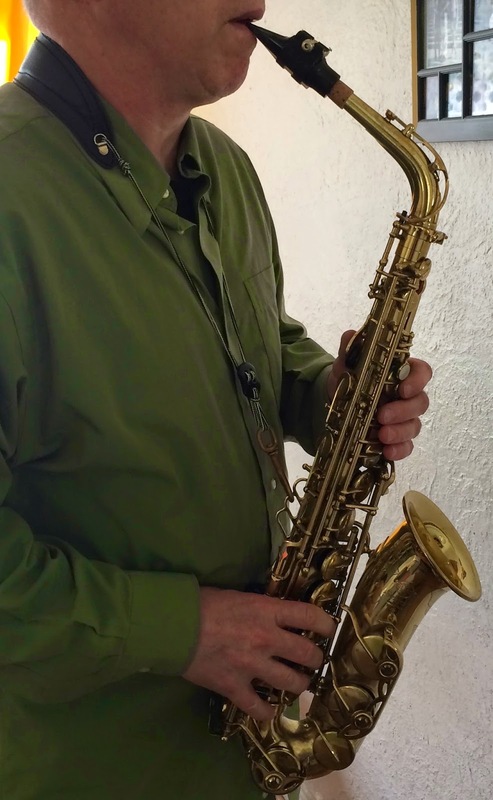 I still play Yamaha 62 models on soprano and tenor, but about 4 and a half years ago I got my hands on a near-mint Mark VI alto (with high F#) that I literally saw in my mind before I acquired it in a trade for another, older Mark VI I had purchased. I liked the sound of that older VI but something was not right with balance. I thought it was the lack of a high F#, a feature I was used to from playing a series of horns; first an H.Couf Superba I, then a Selmer 80 Super Action, then a YAS-62, and a YAS-875 Custom. I had gone back to the 875 before the trade because the balance threw me off, especially when I played high notes. I really fell in love with the sound of the newer VI and I was getting closer to a classic alto sound but I noticed my right hand cramping up and when I did scales and exercises that I had done for years they were not as smooth as before. I was also having trouble controlling my altissimo, which had not been a problem for me. Since I am a middle-aged guy I thought maybe it was just my body failing to keep up with commands from my mind, a sorrowful prospect indeed. I decided to try to alter the balance of the sax by lowering the strap ring with the aid of a little jig I fashioned from "mending plates" I got at the hardware store. This did help a bit so I left it on the sax and went on like that for awhile. 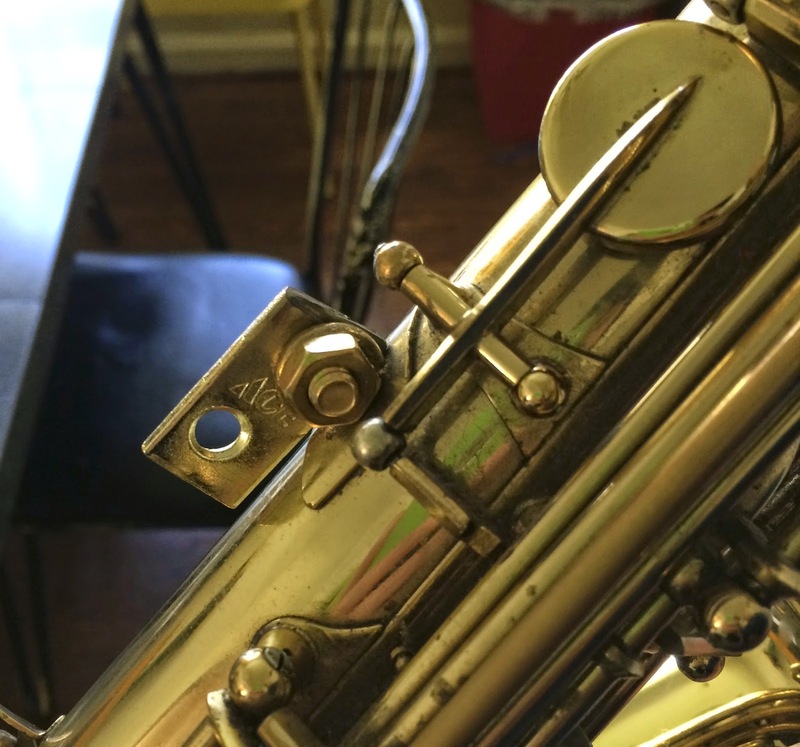 different in that the lower rings stuck out further from the body of the sax. I thought it looked cool and wondered if it would improve my set-up. I reviewed some Wanne mouthpieces and in the course of emailing back and forth I asked about the strap rings and was told they were thinking about offering them for sale as a modification part. A year or so later I asked again, and I got one in the mail a few months back. I was immediately excited about the prospect of putting it on my horn, but I was busy and a couple of months went by before I got down to my technician's shop to have him install it. In the mean time I had thought " Man! maybe I should put this on my soprano" which still seems like a good idea since I use a strap and it sometimes rubs against the knuckle of my left thumb. But I also talked about it with other players and I sort of got cold feet about modifying a perfectly good Mark VI alto. Finally I was sick of feeling cramped, and coincidentally my upper back got really tight for a week, which was aggravated by the way I was holding my horn, so I decided to have the work done. Chuck at Wally's Music Service, my technician, was able to remove the old ring and solder on the Wanne ring in about an hour. I immediately liked the balance. The top ring is in the same place as the old ring, but now I have two more positions. The balance has improved and I have been able to play longer and harder without getting tired. Even my lip gets less fatigue. My back is more comfortable and my wrist is better and I do not have to crane my neck to play. The first week I had two of my regular gigs where I perform rather extended sets, and I just never experienced the fatigue I had come to expect. Not only that, but scale passages lined up better due to the improved ergonomics. The other great thing is that I have greater control of the air direction and can approach the mouthpiece at various angles, and have regained the control I had feared I was losing. I feel so much better- this thing is a game-changer for me! 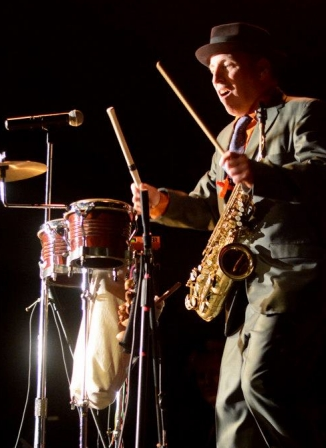 I have a fairly vigorous performing style that involves tap dancing and playing throughout the range of the horn, and I generally wear a harness except for gigs where I am doubling and picking up the soprano and percussion instruments a lot. I tried the new ring with my harness as well as a neck strap with the same result; when the harness or strap was adjusted correctly, the horn would hang with the tip of the mouthpiece going to the middle of my chin, below my lip when attached at the original ring position, but right into my chops when attached at the lower position. Eureka! I could not help but think about some of the older players I have known who had had to quit playing because of back problems and wonder if this would have helped their situations and enabled them to extend their playing careers. feels this might be an issue. You may first want to experiment with the type of jig that I made before I got this mod done. These are easily fashioned from a mending plate, machine screw, washer and nut, using a drill and hacksaw to alter the plate. This is really a make-shift solution but you will notice a difference. I was wondering if there would be any deadening of the sound due to the length of the piece soldered onto the body tube but have observed no discernible difference. The horn just sings so much freer for me since I can hold it where I want it. I am intrigued by the research and development going on at Theo Wanne's workshop and will continue to follow his developments. 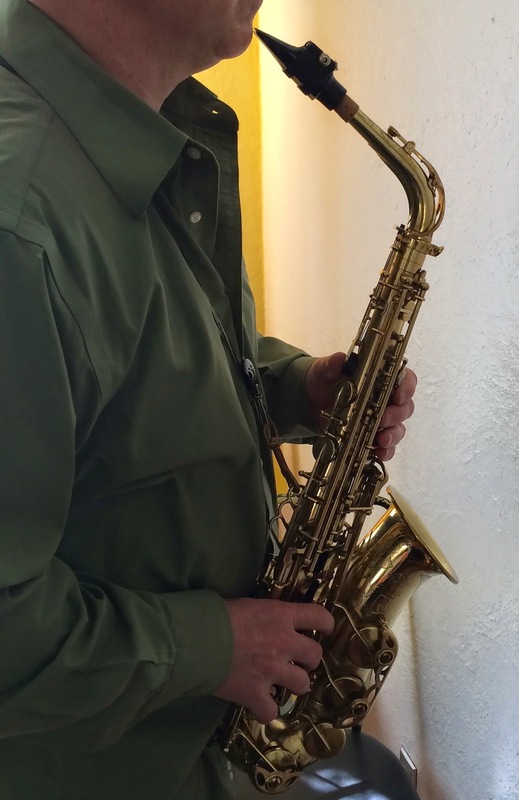 At this time, the triple strap hook is not offered on the Wanne website, but for the sake of all my fellow saxophone players I hope this innovation is made available as it greatly improves the ergonomics of playing the sax. I started using the Jazzlab saxholder to take pressure off my neck and to my surprise there is also way less pressure on the thumb. Freeing up the thumb reduces tension and it feels like my fingers are faster. In an ideal world they'd also make adjustable thumbrests that slide up and down rather than just pivot (like the old Martins).